Tensions between the US and China in the South China Sea have hit a new high, with both countries trading accusations about claims to "hegemony in Asia" and sailing warships into the area. The tensions come amid a US-China trade dispute that continues to escalate. China specialist Dmitry Kosyrev explains how the two events are connected. US Defense Secretary James Mattis has accused China of using its military "for the purpose of intimidation and coercion" in the South China Sea, and stressed that the US wouldn't be leaving the region any time soon. "Make no mistake: America is in the Indo-Pacific to stay. This is our priority theatre." Mattis's remarks came following his statement earlier this week about a "steady drumbeat" of US naval exercises in the South China Sea to challenge Beijing's territorial claims. Also this week, outgoing US Pacific Command head Admiral Harry Harris warned that China would "realize its dream of hegemony in Asia" if the US, its allies and partners didn't stop them. The comments were followed by even more bellicose remarks by US Lieutenant General Kenneth F. McKenzie, who mentioned the ability to take down man-made islands in the Pacific being a "core competency" of the US Navy going back to WWII, in an obvious reference to China's artificial island-building program. 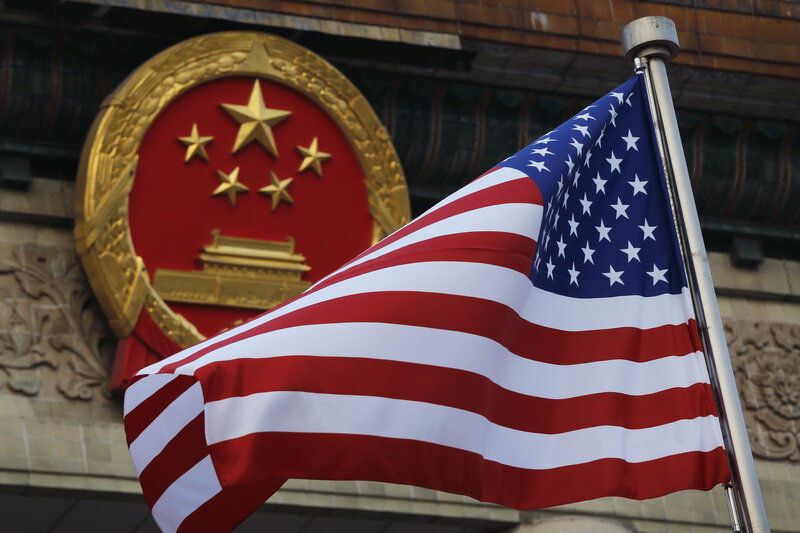 Beijing responded to the US military officials' remarks by suggesting that it is the US that's "obsessed with hegemony" amid its insecurity that others might seek to take it away. "China has been stressing that it will never seek hegemony and expansion. I wonder whether the US can do the same," Foreign Ministry Hua Chunying said at a press briefing following Admiral Harris's comments. This week's diplomatic saber-rattling was accompanied by US warships sailing into Chinese territorial waters off the Xisha (Paracel) Islands, forcing the Chinese Navy to react and expel them. They also follow the Chinese defense ministry's announcement that its Navy's first carrier group has reached "initial" combat readiness for operations on the open seas. — People's Daily,China (@PDChina) 24 мая 2018 г.
Chinese media has seen two distinct trends over the country's military modernization program, with some outlets, including Hong Kong's South China Morning Post, writing about a full-out nuclear "arms race" with the US, while others, including People's Daily Online, calling such claims exaggerated and pointing out that China's arsenal remains the smallest among the big five official nuclear powers. 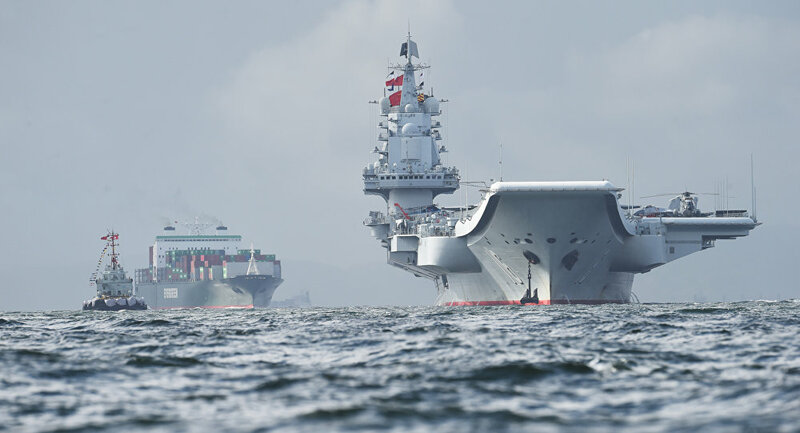 Chinese outlets have also issued detailed reports about the People's Liberation Army Navy's plans for the creation of an ocean-going carrier fleet. Amid successful training aboard the Liaoning, China is well on its way to the creation of a minimum of 3-4 new carrier groups to meet the country's strategic needs and give it power projection capability on the open seas. In a recent article for the Sina news portal, military commentator Chen Guangwen stressed that China's carrier fleet will serve not only as a defensive deterrent, but will also be a "powerful chip" geopolitically, helping to send a "strong diplomatic signal" to China's potential adversaries. China's third carrier, under construction at the Shanghai Jiangnan Shipyard, is expected to be more advanced than both the Liaoning and its Type 001A cousin. According to military experts speaking to the Global Times, the third carrier will feature an electromagnetic aircraft launch system, with the fourth expected to see a breakthrough in its power unit. However, according to Russian China observer Dmitry Kosyrev, the most interesting aspect of the Chinese media's discussions about military modernization, whether it is a question of nuclear warheads or carriers, is the point made about "strategic needs." "China began its rearmament program at about the same time as Russia, and the whole process is being conducted amid regular consultations between Moscow and Beijing. And the reason for this is the same for both countries," Kosyrev wrote. "The tough pressure by the United States, which started in about 2012, was not only directed against Russia, but China as well. And if Ukraine was the key lever used to pressure Russia, then for China it is the disputed territory in the South China Sea. This, incidentally, is why Beijing is focusing on the creation of a carrier fleet, and working on nuclear warheads," the analyst added. 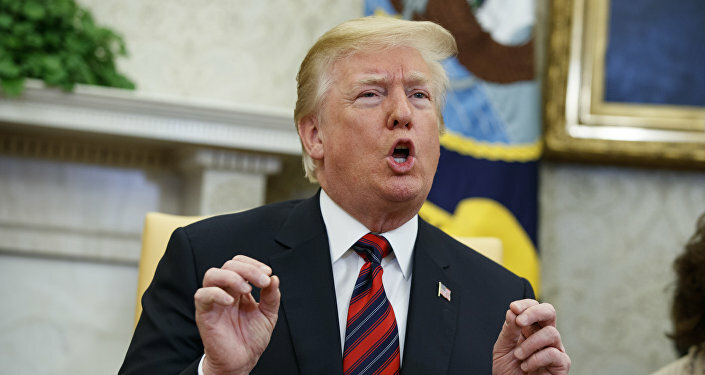 According to Kosyrev, President Trump's total unpredictability on trade, including his back-and-forth flip-flopping this week about whether or not to introduce $50 billion in tariffs on Chinese goods, and the expected restrictions on Chinese investments in US tech companies, is another argument in favor of China's efforts in the defense sector. "Talks will continue to drag on, the parties will continue to squeeze concessions from one another, and the US can again go back on its word. And this is understandable: In circumstances where the game is so tough, it's necessary to bring one's military power, whether measured in nuclear warheads or aircraft carriers, to the required level; it just seems smoother to play that way," Kosyrev concluded.